#1 – Workers comp studies have shown that for someone who is injured in at work, they are much less likely to need an invasive type of surgery for their back if they were first seen by a chiropractor vs. a medical doctor. Almost 30 times less likely!! There is no doubt that medical doctors have their role to play in the so much of healthcare; you’ll never hear me say anything bad about a medical doctor. But I guess the take home is that many times if you don’t have a specialty in musculoskeletal pain and injury – which is what we specialize in – then many times the results aren’t as stellar as they could be. When it comes to conservative treatment of pain….in which most of the time it is due to a body mechanic problem (even if there is an MRI or x-ray that shows something more worrisome, these typically are just bi-products of the underlying improper body mechanics)….then many times a sports medicine based chiropractic physician can be the perfect portal of entry for these types of complaints and pain. Sports medicine chiropractic treatment is the superior subcategory of chiropractors. This thorough treatment offers the fastest results at the lowest cost. 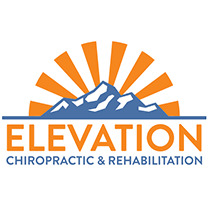 Elevation Chiropractic and Rehabilitation prides itself on treating in this manner. If you need care, make sure you get the most evidenced treatment in Tigard. Our location is close and convenient; next to the Washington Square Mall: 9370 SW Greenburg Rd #605, Tigard OR 97223.